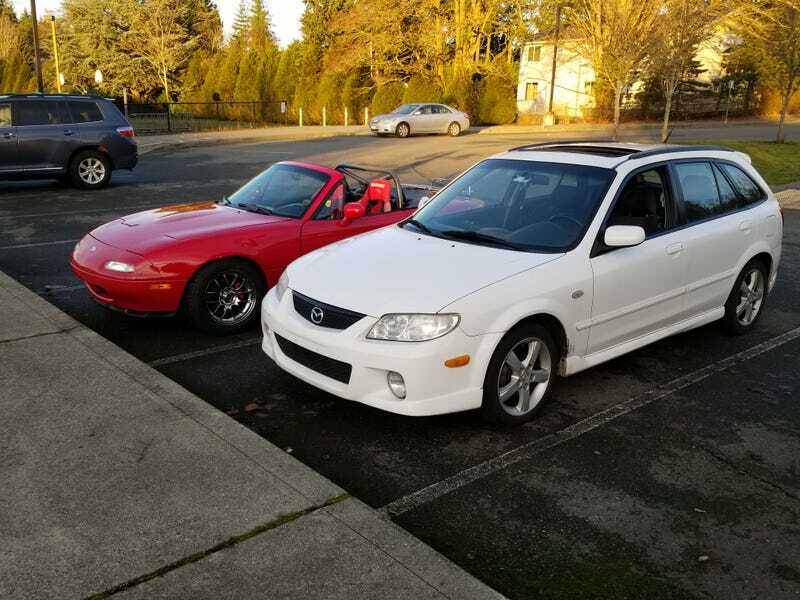 My buddy who previously had a stock, teal Civic hatch and a G35 (both totalled) just picked up this beauty so he doesn’t have to keep spending $800 a month on Uber and lyft. 80,000 miles, exterior 6/10, interior 8/10, a few minor mechanical issues, $800. I drove it. I liked it a lot. He doesn’t really like wagons (I’m working on it) but I think he’ll come to love this thing. Plans are window tint, clean up the interior and exterior, and use as a commuter until he can find another G35. Wagon. And a good goldilocks just right size, similar to a mid 2000's wrx wagon.